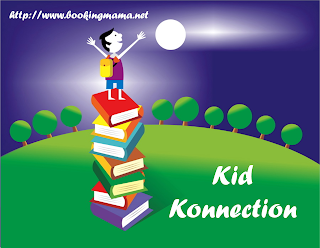 Every Saturday, I host a feature called Kid Konnection -- a regular weekend feature about anything related to children's books. This week, I'm going to share with you a fun book for kids and adults that's perfect for Christmastime. Remember Little Golden Books? I sure do! Every time my mom took me with her to the grocery store, I was allowed to pick out one. They were a quarter, believe it or not; and I loved them. Well, there is a new book out that will bring back fond memories of Little Golden Books. 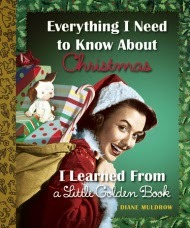 It's called EVERYTHING I NEED TO KNOW ABOUT CHRISTMAS I LEARNED FROM A LITTLE GOLDEN BOOK by Diane Muldrow, and it's a very cute way to get into the Christmas spirit while taking a walk down memory lane. EVERYTHING I NEED TO KNOW ABOUT CHRISTMAS I LEARNED FROM A LITTLE GOLDEN BOOK is chock full of advice for navigating the holiday season. I just adored this book, and it's such a creative way to combine books from my childhood! It was sweet to recognize classic characters like the Pokey Little Puppy and The Gingerbread Man, but it was even more exciting to see actual images from some of the books I remembered enjoying when I was a kid. I almost got teary when I saw a page from MY LITTLE GOLDEN BOOK ABOUT GOD. I think I took this book with me to church every week for years! Although I did love the walk down memory lane, I also liked the advice this book had to offer. There is no doubt that the holidays are hectic times -- and that's an understatement for me this week; and this book reminds you of all that has to be done. However, it also reminds you to keep in mind the reason for the season. I have to say I was pleasantly surprised by the ending and I can't wait to share it with my kids! EVERYTHING I NEED TO KNOW ABOUT CHRISTMAS I LEARNED FROM A LITTLE GOLDEN BOOK is a special book that will become another Little Golden Book classic in our house. Highly recommended! I read the original version of this book and thought it was delightful so I'm sure this version is as well. Very nice review! This book seems like a funny, "golden" way to relieve holiday stress. Oh, my goodness! I am sorry--my link posted more than once! Please remove extra links. Thanks! I've seen this one and thought it looked interesting, but haven't read it yet. I'll have to make sure I do! Golden Books bring back such memories!